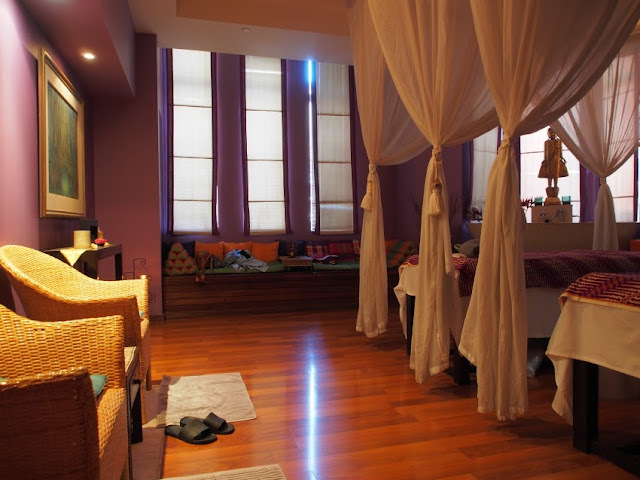 In the midst of busy Sydney CBD, there is a little gem located inside a popular Grace Hotel in York St: Cendana Spa. It is a massage and body relaxation center, specializing in various body massages, wraps, and scrubs, and also facials. It is not one of those places you normally find in the middle of China Town: small massage shops where usually strong middle-aged Asian ladies would - after their 'massages' - make your bodies more sore than before you stepped into their little joint. Nor is it one of so many Thai massage places where although some masseuse are arguably better skilled, scrimped on their massage oils by using good-old baby oil. But hey, for the price you paid to get massages in those places, baby oils are justified. 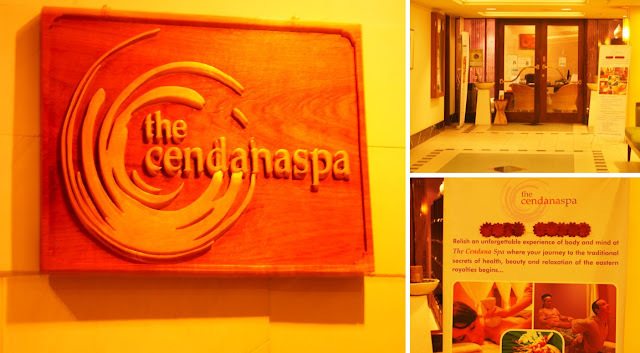 Cendana Spa is a proper pampering and relaxation centre. You'd pay more moola than the ordinary massage places, but we always go to Cendana whenever we need pampering for special occasions (this time, it was 1/2heart's birthday). They have a lot of treatments available, using some of the best and natural blends of their own. Their blends used for their massages and body treatments consists of pure essential oils and other exotic herbs and ingredients. 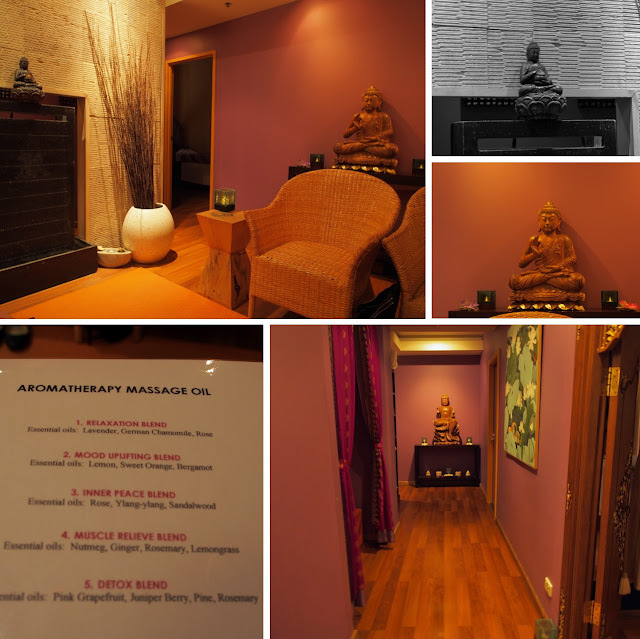 From the moment we were greeted by their receptionist and stepped into the waiting room, it felt like we had been transported into a traditional spa in Bali or Thailand. From the beautiful sculptures, carved doors, and soft songs playing in the background, it is hard to believe that the place is located in busy Sydney City. They served herb tea in the lounge/waiting room, where we also had to chose our massage oil preference. We booked for the couple room, a beautifully appointed spacious room with two massage beds set up. The room is also equipped with a large stone bath, used if you opted for one of their bath treatments (e.g. milk bath). 1 1/2 hour later, we were so in a daze and felt so relaxed. We walked out of Grace Hotel and faced hustle and bustle of busy city streets again, leaving this sanctuary behind.